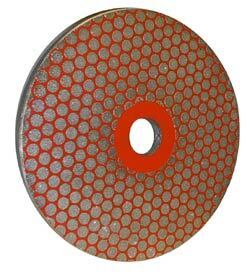 6" Standard 180 Grit Diamond Disk fits the Diamond Max and Bevel Max grinders. Use the diamond disk for fast and exact straight edges every time. Use the diamond disk with the Max Bevel Block for perfect fitting 30 and 45 degree beveled edges. Standard replacement disk for the Diamond Max and Bevel Max.